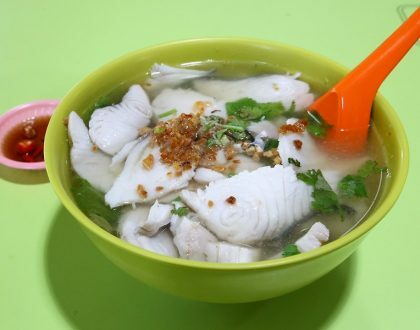 I generally find Tanjong Pagar Food Centre under-rated compared to other CBD food centres such as Maxwell Food Centre and Amoy Street Food Centre, and there are still some gems to be discovered. 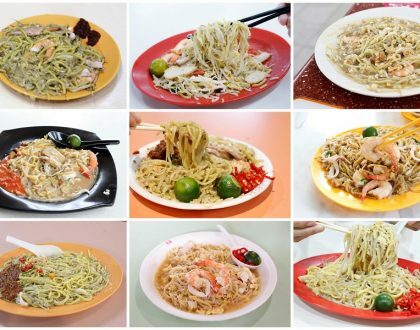 Although modest in size, Tanjong Pagar Food Centre is a bustling weekday lunch venue. 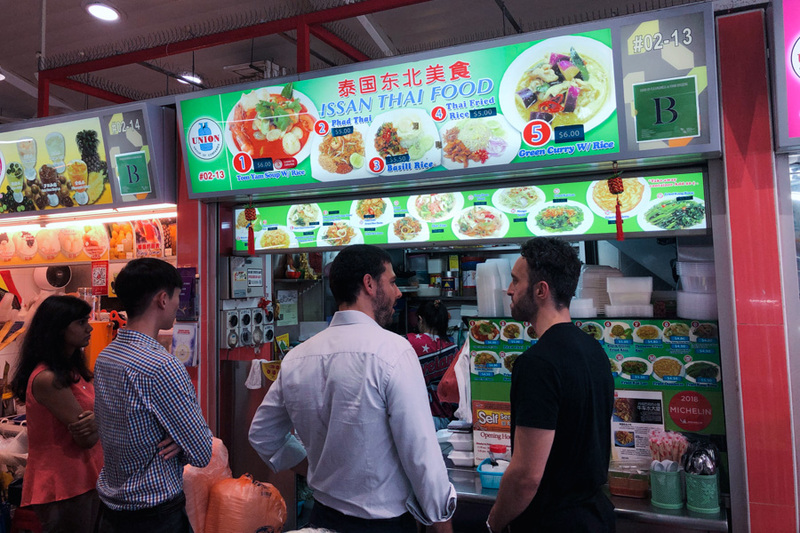 It offers diners a great choice of inexpensive and aroy Thai food via the Issan Thai Food stall, located on the second level. 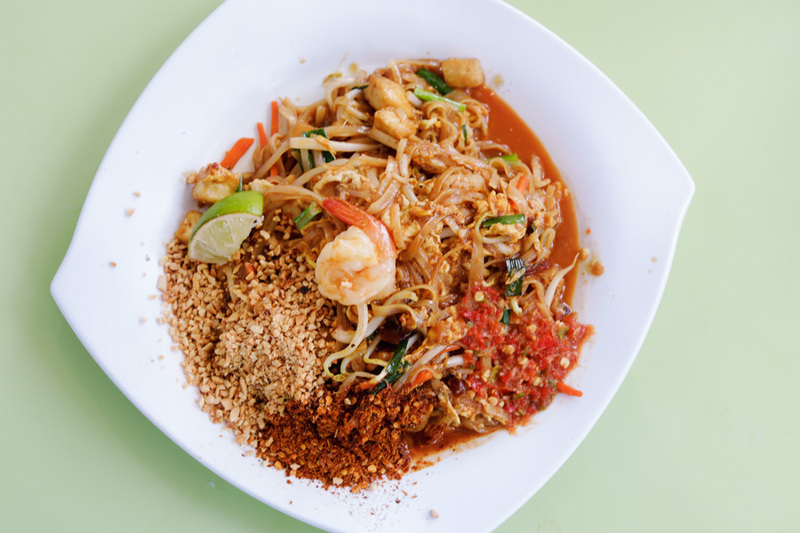 Tip: Heading there for an early dinner would mean less of a crowd, and you can have their Thai food at a much cooler environment. 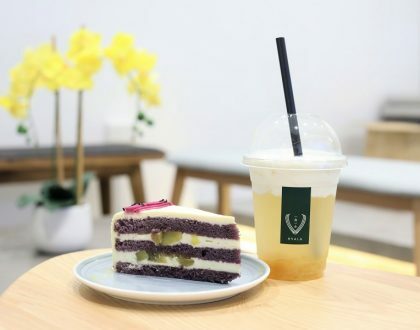 The stall is also listed in Singapore’s Michelin Guide, considering not bad as there are only 2 other Thai establishments on the list – Yhingthai Palace (Bib Gourmand) and Long Chim (Michelin Plate). 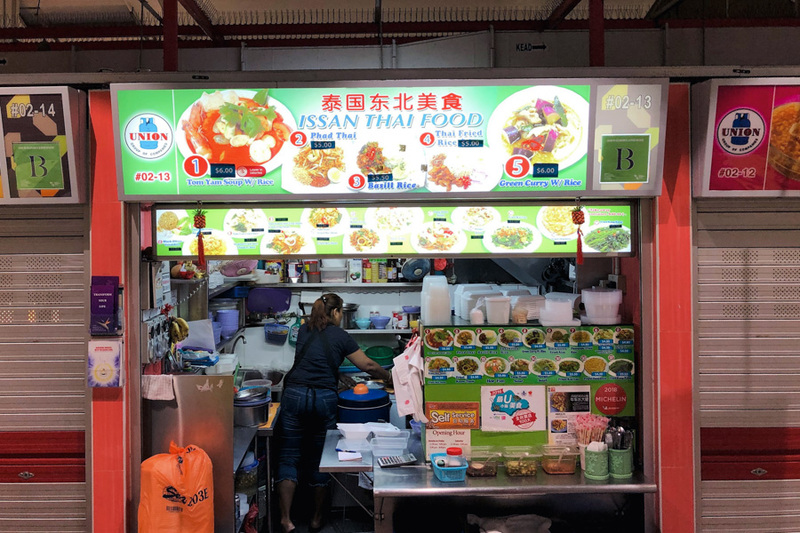 While it is a 2-women show (1 cook, 1 cashier) at the stall, they serve up quite a repertoire of dishes, some wok-fried on the spot, from Thai Fried Rice ($5.00), Basil Rice ($5.00), Hor Fun ($5.00), Pineapple Fried Rice ($4.80), Tom Yum Fried Rice ($4.80), Fried Kang Kang ($5.50), Fried Omelette ($4.50), to Fried Kai Lan ($5.50). 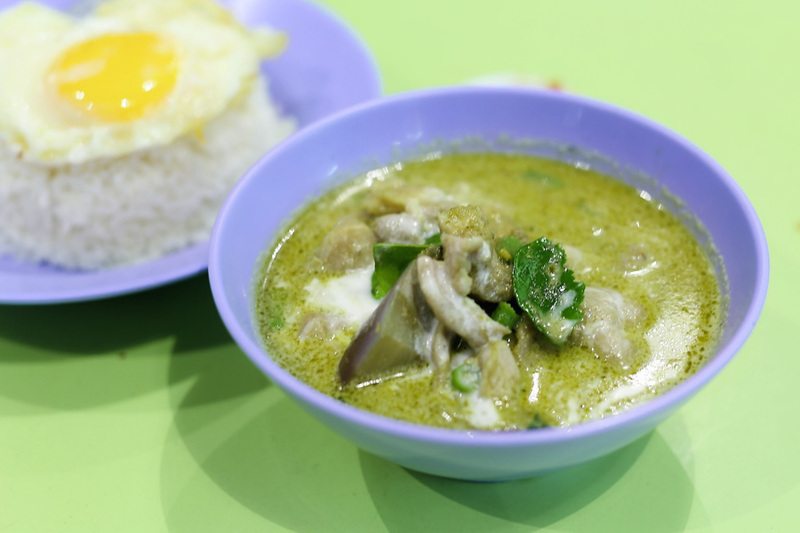 Alongside other Thai staples of Tom Yum Soup with Rice ($6.00), Phai Thai ($5.00), and Green Curry with Rice ($6.00). There were some not bad dishes, while a couple were more ordinary. 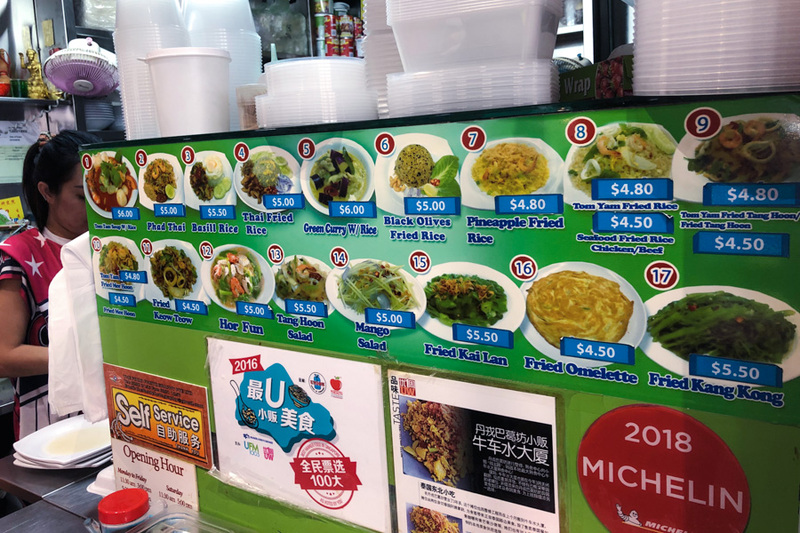 Given a choice, I would recommend their Pad Thai noodles ($4.50) served with rice noodles, 2 tail-on prawns, bean curd, egg, bean sprouts, and a wedge of lime on the side. 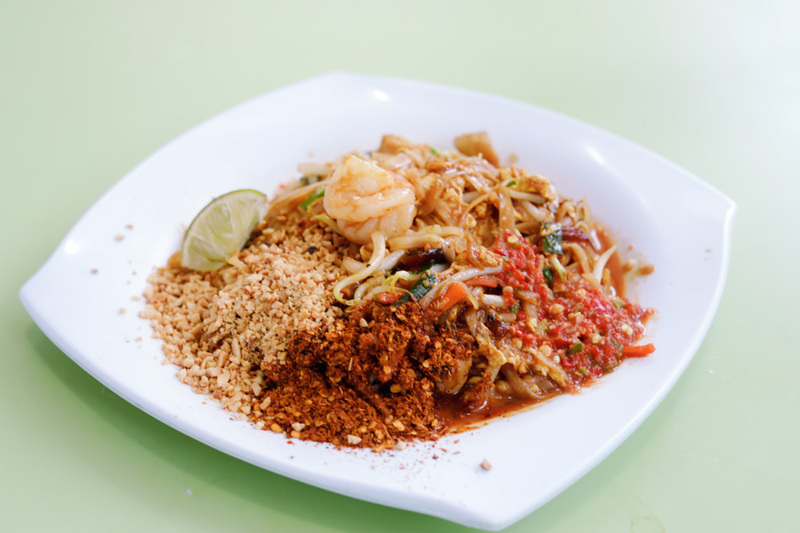 Like any Thai dish that balances all the flavours, this noodle dish tastes sweet, sour, spicy and savoury all at the same time. The distinguishing factor was that it had wok-hei and was deliciously-moist. 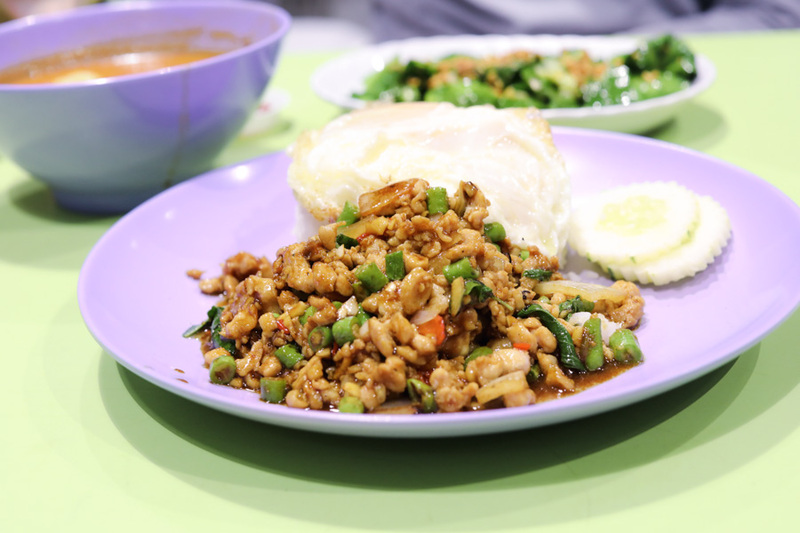 Their Basil Chicken Rice ($5), also a bestseller, is made with minced chicken cooked in oyster sauce, soy sauce, fish sauce, sugar, and basil, and served with steamed rice topped with a fried egg. Another popular Thai dish is their version of Fried Rice ($4.50, $5.00 with egg), made with slivers of green mango, onion, crispy ikan bilis, and chunks of chicken. 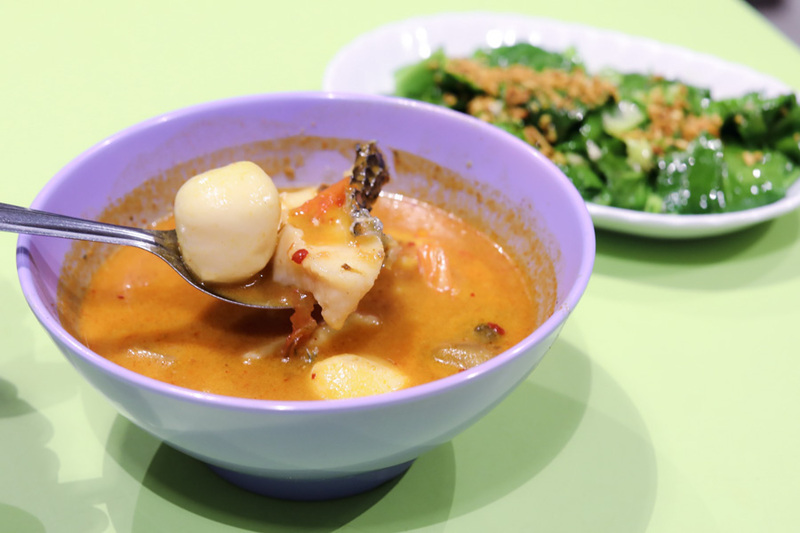 Some of their other dishes were more average-tasting, say the Green Curry ($6.00) and Tom Yum ($6.00) which had fishballs within. 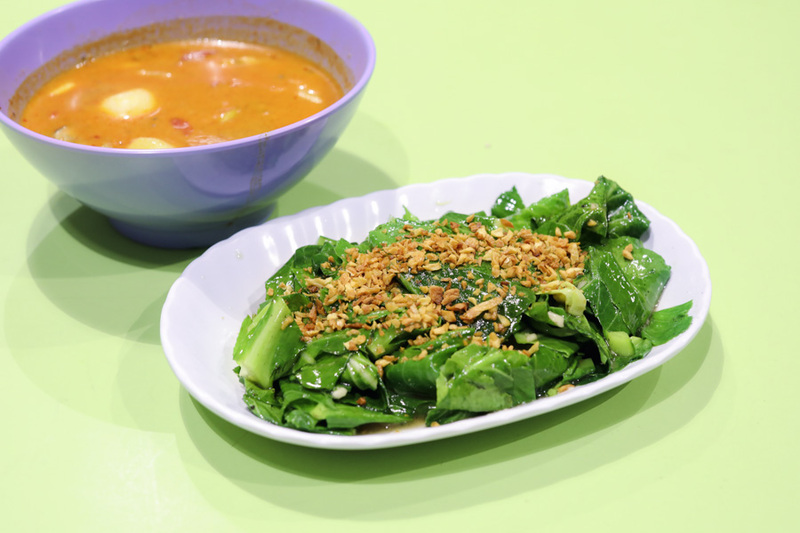 If you come looking for “Michelin” standards in these dishes, I would say that Soi 47 and Nakhon are about there. 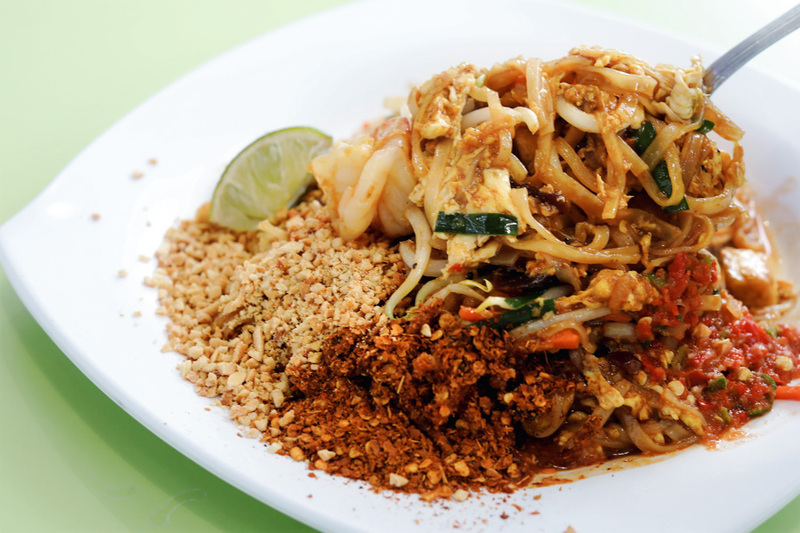 But I enjoyed the Pad Thai I had, which was a cut above the rest. 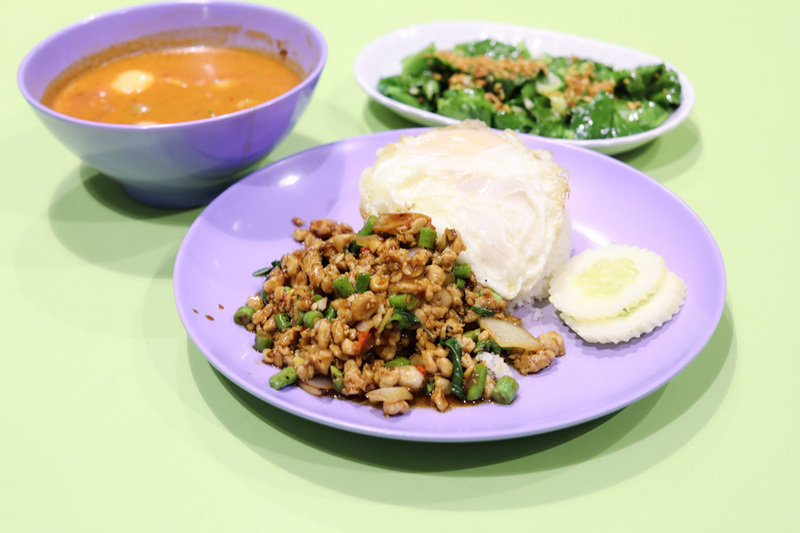 While the taste may not be the most authentic around (probably tamed down on the spice levels to suit the office workers), it is worth a visit if you have Thai-food cravings in the vicinity.